Let's get the PARTY started!! 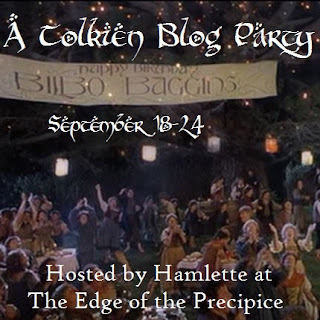 A Tolkien Blog Party, no less! And although there's no "of special magnificence" tagline this year, it's still mighty exciting! Thanks for hosting, Hamlette! Ummm... all of them? Well, maybe except the latest Arthur translation. But I will, you'll see! And again - all of them. Although, as you can probably guess, I was not a big fan of the latest two. I'm an easy crier, so LotR gets me every time, especially with the ending and all of the deaths. Having a drink and some napkins for a LotR movie night is a must! Don't remember if I cried while reading, though, I haven't done it in a while. Oh well all of them with Merry and Pippin. They are just so cute! Gandalf is also one for an occasional good joke. Well, it's still with me on every web page that requires a login. It's Arenel - a slightly modified version of Aredhel Ar-Feiniel, who has a breathtaking story in Silmarillion. I bought a beautiful illustrated version of LotR a couple of years ago, and I read maybe half of the first book then. It was obviously Tolkien's intention to convince the reader that he's not evil. So I trust the Professor on that one. 9. How would you sum up what Tolkien's stories mean to you in one word? A safe place that's always there when I need it. Great answers! Thanks for joining the party :-) That's awesome that you've memorized a whole poem -- I've picked up bits here and there, but not a whole one like that. Hee. It would be a fun one to recite! I agree on fighting to the death; I probably wouldn't win, unless I took him out with an arrow. I am no Eowyn. I would love to memorize, maybe Misty Mountains (I am not thrilled with a lot of the Hobbit movies, but wow, that music). And Pippen's song he sang to Lord Horrible-Father. 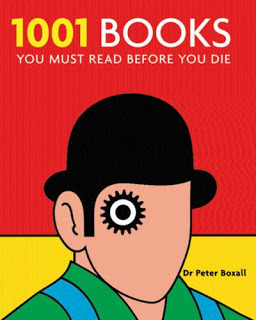 Wow, you've read all his books? That's amazing! Clearly you're a huge fan. :) And ha! When I saw the question of who we'd fight to the death, I thought the same thing. I'd totally lose! I love that you have that whole poem memorized! That is so cool. Enjoyed reading your answers to the Tag!